Chester Nez the last surviving member of the original Navajo Code Talkers will now be the subject of filmmaker David DeJonge in a 30-minute documentary. DeJonge who is well known for his work with the last WWI veteran Frank Buckles and documentary Pershing’s Last Patriot has begun producing the documentary on Nez after a visit to Gallup, NM. “Chester is the last link from the Navajo people who forged a secret code that helped win the Second World War. Their code led to the training of 400 additional Navajo code talkers. To record his story in first hand is critical to American and military history.” DeJonge said. Nez served with the United States Marines in the Pacific and helped defeat the Japanese by creating a code that was never broken using the Navajo language. 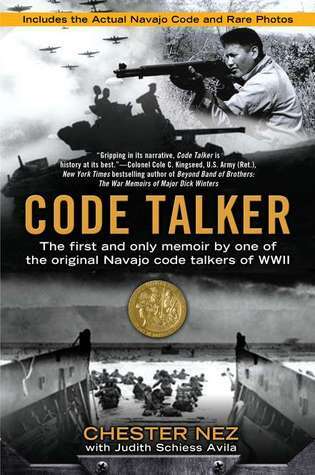 Nez's recently published memoir, written with Judith Avila and titled: Code Talker, is the only book about the code talkers by one of the 29 original Navajo Marine volunteers. Avila will be a consultant on the film as well.&nbsp;“Most people think that the famous and unbroken Navajo code consisted of simply speaking Navajo. But that wasn't the case. Even other Navajos could not crack the code - unless they had been trained as code talkers.”&nbsp;Avila stated. Sent to a boarding school as a child Nez was greatly discouraged from speaking his native language and instructed to only use English. Then during WWII the Navajo people were asked to develop a secret code for America to use based on their language. The film will tell Nez's story from childhood through today. Filming will continue this spring. An initial grant has been given by the the Dennis and Phyllis Washington Foundation of Montana. DeJonge is seeking an additional $37,000 to complete the project. Interested parties should contact him through this website.